A new altar guild member couldn’t open the combination lock for the safe in which the parish stored its altar silver. So, she asked the rector for help. The rector started turning the dial of the combination lock, but stopped after the first two numbers, looked up serenely toward heaven, began moving her lips silently, then turned to the final number, and opened the lock. Analogously, outsiders can find Christianity incomprehensible or intimidating. However, in today’s gospel reading Jesus throws the door to our community wide open. If he had been the first Episcopalian, he would have declared, “All are welcome!” And had he been Hawaiian, he would have said, “E komo mai!” Jesus delineated four welcomes, four paths into the one community of God’s people. The first welcome or path depicts individuals who seek to connect with God by welcoming the one whom God sent, that is, Jesus. Walking a labyrinth illustrates many aspects of this path. The spiritual life is a journey, not an event. The journey may feel personal, yet a community’s effort is necessary to create and maintain the labyrinth. Walking a labyrinth suggests God’s mysteriousness, while reminding travelers to continue moving forward even when their spiritual life feels dull, tedious, and unrewarding. In the ordinariness of walking and praying one may, in a time and manner of God’s choosing, encounter the living God. If you travel this path, can you describe your personal spiritual journey? Unfortunately, this first path or welcome for spiritual seekers is widely regarded as Christianity’s only path. Yet Jesus describes three more welcomes, three more paths, by which people can encounter God. The second welcome or path is for people who receive a prophet. Jesus speaks against the backdrop of well-known Jewish prophets such as Isaiah, Jeremiah, and Micah. Sadly, knowledge of the Old Testament is sharply declining, even though we live in an era that desperately needs to hear the prophets’ messages of social justice and compassion for all. The Rev. Dr. Martin Luther King, Jr., was a more recent prophet whose ministry was a catalyst that transformed society. Without King’s prophetic voice, Barack Obama would probably not have been elected President. The Rev. William Barber pastors a small North Carolina church and until lately chaired the NAACP’s North Carolina chapter. 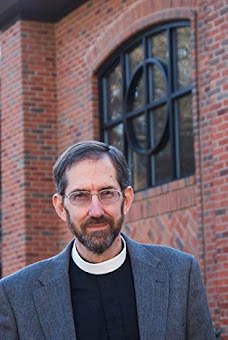 He founded the Moral Monday movement to protest what he deemed unjust moves by the North Carolina legislature to restrict voting opportunities, impose discriminatory access to public restrooms, and limit healthcare for the poor. Rev. Barber now works to expand the burgeoning North Carolina movement into a national campaign for justice. Our Presiding Bishop, the Most Rev. Michael Curry, when Bishop of North Carolina, actively supported Rev. Barber and the Moral Monday movement. Do we similarly welcome prophets? Do we heed prophetic judgments about how our political, economic, and social systems and values measure up against God’s definition of justice, a definition that requires us to care for the most vulnerable and the least among us? And having heard those prophetic judgments, do we support the prophet with our voices, presence, votes, and contributions? If the first path, with its spiritual focus is the most intellectually challenging in our materialistic, scientific culture, the third path can appear deceptively easy. Jesus instructs his disciples to welcome the righteous. Who is a truly righteous person? Many of the hundreds of persons that the Episcopal Church identifies as Saints, with a capital S, embodied great virtue. They were just, courageous, prudent, or temperate. However, decades of mid-week services in which my homily usually highlighted a particular Saint’s virtue taught me not only the rigor of cultivating virtue but also that all of the Saints had clay feet. Not one is a person whom we can safely emulate in toto. Instead, those who strive for righteousness should look to Jesus as their moral exemplar, the pioneer of their salvation. Notably, Jesus preached an inclusive rather than exclusionary welcome. In today’s gospel, in which Jesus identified four welcomes, four paths for his disciples to tread, he implicitly instructs us not to judge those who tread a different path or paths than the path or paths that we tread. Judgment of anyone’s worth – of self or others – belongs to God, not to us. The final welcome or path that Jesus describes is practicing kindness toward the most vulnerable and least among us. He poignantly illustrates this path with the example of offering a cup of cold water to a little one. Understood literally, a little one denotes a child; understood metaphorically, a little one connotes the most vulnerable or least among us. Both interpretations are comparable: first century Palestinians had no chilled water or ice; water arduously drawn from a deep well was their only source of cold drinks. A now deceased priest of this diocese, Fr. Claude DuTeil, founded the Institute for Human Services, Hawai’i’s largest non-profit provider of social services. IHS, which St. Clements supports, grew out of Fr. DuTeil’s compassionate response to a hungry, houseless person he encountered in Chinatown while feeling depressed about his ministerial gifts and future. How can we become more compassionate toward the “little ones” in our midst? How can we more fully care for the houseless, the hungry, the sick, and others? In a few moments, we will say the Nicene Creed together, affirming our commitment to walking in Jesus’ footsteps. We welcome on this journey all who seek God, who struggle to obey God’s prophetic word of justice, who strive to live righteously, and who try to care for the most vulnerable and least among us. Looking outwards, how can we more fully welcome all four? And, looking inwardly, which path or paths do you walk in your journey towards God? Dr. Robert R. Kopp, “Thanks for the Trip!” Oct. 29, 2000, pp. 4-5. For a listing of the Saints, cf. Book of Common Prayer, pp. 19-33, and Lesser Feasts and Fasts. I attend out of habit. I attend because the Bible teaches Christians to attend worship. I attend because I think this is what Jesus wants me to do. I attend because my family attends. These are not bad reasons for attending, but they are reasons that will generally fail to persuade anyone else to attend. The morning after my conversation with the woman who posed the question, “Why do you go to church?” I came across this item, Stories – Your Website’s Secret Sauce, on the Lewis’ Center for Church Leadership’s website by Will Rice. The article was not what I had imagined from the title. However, the article put the question about church attendance in the correct perspective. People begin attending church either because they seek transformation or because they have experience a transformation. And people continue attending for the same reasons. Instead of asking long-term parishioners why they attend, convene a focus group of newcomers. Then, ask them to talk about why they attend your church. Their answers will identify your congregation’s strengths that attract newcomers. Capitalize on those strengths. Promote and expand them as the path to growth. This approach to church growth appeals to me as a simple application of the appreciative inquiry method of leadership developed by David Cooperrider and his associates. My Ethical Musings’ blog post, For such a time as this … an electronic prayer book, had previously appeared as a contribution to the Episcopal Café. That article received twenty-five comments mostly dissenting from my proposal that The Episcopal Church (TEC) publish its next revision of the Book of Common Prayer exclusively in a digital format. This post responds to those comments even though they failed to address many of the issues I raised in support of TEC utilizing an exclusively electronic (digital) Book of Common Prayer. Revising the Book of Common Prayer will require at least ten years from today. If next year’s General Convention (GC) appoints a task force or tasks an existing body to draft a revision, the 2021 GC might forward that draft to dioceses for comment, asking the body that drafted the revision to carefully consider those comments; the 2024 GC could then debate the revised draft, probably amending sections and perhaps authorizing trial use; if the trial enjoyed popular acceptance, the 2027 GC might adopt the revision as TEC’s new prayer book. The actual timeline would conceivably (probably?) take longer, especially if some groups find some of the proposed revisions particularly problematic. By 2027, our world will be far more digitally dependent than it is in 2017. Comfort with electronic media will be even more widespread. Some elementary, middle, and high schools already issue each student a personal computer or tablet, increasingly relying upon digital instead of printed materials. A growing percentage of college textbooks are available only in a digital format. Commercial sales of e-books continue to grow rapidly. Consequently, for many people juggling a bulletin, prayer book, and one or more hymnals while trying to worship will feel increasingly awkward, distracting, and unhelpfully anachronistic. A forward-looking TEC will choose to adopt contextually appropriate technology rather than clinging to outdated media. As one response to my proposal noted, printing the first Book of Common Prayer represented utilizing the best technology then available. Since that time, branches of the Anglican Communion have published various editions of the Book of Common Prayer adapted to their context and in their language(s). Moving to an exclusively digital version of the Book of Common Prayer is simply the logical progression of this living tradition. Furthermore, the proposal to publish any revision in an exclusively digital format is actually less radical than it might appear. TEC and others (some unauthorized) already make the Book of Common Prayer, other liturgical resources, and much of our hymnody available electronically. Illustratively, growing numbers of people, ordained and lay, say the daily office utilizing digital resources that incorporate the relevant Book of Common Prayer materials and prayers, scripture readings, and sometimes music and/or historical information about the saint(s) or event commemorated that day. Incorporating hymns and service music into the revised electronic Book of Common Prayer may likely, as another respondent noted, raise copyright issues. That is not a reason to reject electronic publishing. Instead, it constitutes an issue that those who draft the revision and TEC’s lawyers will have to address. A printed Book of Common Prayer that incorporates hymns and service music would be both physically unwieldly and too large to fit in most pew racks. Only an electronic version offers the convenience of having all of our liturgical resources in a single, readily accessible source. A digital resource will allow congregations and dioceses to make unauthorized changes, a problem that more than one respondent to my original proposal highlighted. These respondents ignored my observation that this already happens. Like them, I value being part of a Church that is defined by common prayer rather than common belief. However, ostrich like behavior that tries to ignore the unfortunate practice of local, unauthorized changes to the Book of Common Prayer’s liturgies and rubrics is not constructive. Not printing a revised Book of Common Prayer will neither accelerate or decelerate the use of unauthorized changes to the liturgy. This is a separate issue, one that deserves our attention, but not a reason to object to publishing a revised, comprehensive Book of Common Prayer in an exclusively digital format. Currently, TEC has a number of alternative liturgies (e.g., for the eucharist) that congregations may use with their diocesan bishop’s permission. These liturgies are not in the Book of Common Prayer. Thus, congregations utilizing these liturgies must either print a service leaflet that contains the full liturgy or leave attendees in the dark about the timing and wording of participatory responses. These liturgies represent a de facto step away from total reliance upon a printed prayer book and a step toward use of a digital resource. The same issues arise when using the Book of Occasional Service’s seasonal and other liturgical resources. Advantageously, relying upon a comprehensive, digital version of TEC liturgical resources will allow timely, no cost updates to language and content, e.g., replacing the outdated, exclusionary masculine terms in the rubrics with gender neutral ones and including both newly adopted materials as well as items authorized for trial use. As the multiple revisions to the Book of Common Prayer in this and other Anglican provinces attest, the Church’s worship is framed in continually evolving language and liturgy. Finally, none of the respondents to my original piece adequately addressed the substantial financial costs to congregations and individuals who would need or desire to purchase printed revisions of the Book of Common Prayer and other TEC liturgical resources. These costs would greatly strain the financial resources of many of our small congregations. And TEC consists primarily of small congregations. 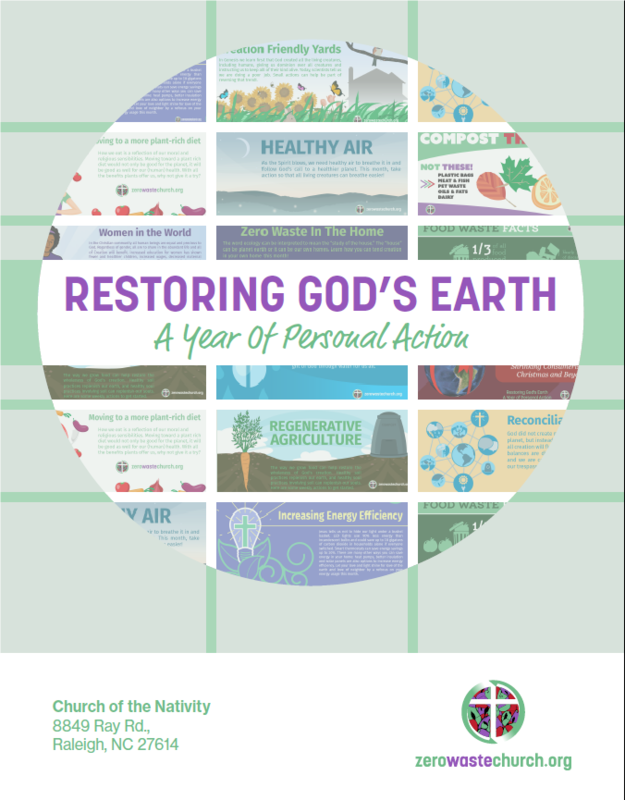 One respondent did raise the important issue of environmental harm attributable to an increased number of congregations printing a leaflet for each service containing the full liturgy. However, that cumulative negative effect will very probably be significantly less than the combined adverse environmental effect attributable to printing both tens of thousands of copies of a revised Book of Common Prayer (TEC has over 5000 congregations) and the weekly leaflets containing the full liturgy that many congregations presently print. I appreciate some people deriving personal comfort in holding a printed book. However, the Church is not about me or any other individual. The Church exists to minister to the world, particularly those hurting or spiritually empty persons who seek a different or new form spirituality. Over half of all Episcopalians began their Christian journey in another denomination. Concurrently, the fastest growing religious demographic in the US is the number of people who self-identify as having no religious preference, many of whom lack any religious background. Meanwhile, our culture is relentlessly switching to digital. Becoming a people who truly welcomes both those moving from another denomination and those with no previous religious identity requires TEC to make its worship resources and materials as user friendly as reasonably possible. One vital component of this welcome is to provide the entire liturgy, words and music, in an easily accessible format, e.g., leaflets printed with the full liturgy, loaning attendees a handheld electronic device that displays the liturgy, projecting the liturgy onto one or more large screens, or a mix of these options. A digital Book of Common Prayer that includes our hymnals and other liturgical materials best supports all of these options, best utilizes TEC resources, and is most contextually appropriate for TEC as it lives into the twenty-first century. In a previous Ethical Musings post I lamented the increase of biblical illiteracy. I was therefore encouraged to read an article in the most recent edition of the Hawaiian Chronicle by the Bishop of Hawaii, Bob Fitzpatrick, who happens to be my bishop. His article offers some practical ideas on how to improve biblical literacy. He also sketches the approach to prayer that he finds personally fulfilling. His article, reachable by following this link, is well worth reading. It is limited, as evidenced by the proliferation and popularity of authorized alternative liturgies. Others may add additional theological and liturgical reasons to that list. Many small congregations already struggle financially. Their having to replace the 1979 Book of Common Prayer with a revised book will only compound pre-existing financial problems. Determining the contents of a new prayer book might prove impossible or even a catalyst for schism as individuals and groups fight over what to include in a volume that by its various nature is both limited (e.g., a 2000 page book would be unmanageable) and static. The pace of social change is accelerating. Creating another static volume would probably result in a volume that was dated and in need of revision before it was fully implemented across the denomination. One unmistakable direction of change is away from print toward electronic media. Some congregations have already effected this change. Instead of (or in addition to) a printed bulletin, they publish their bulletin electronically for access by people using smartphones and tablets. Juggling the prayer book, one or more of our authorized hymnals, a bulletin, and perhaps a bulletin insert with the scripture readings, can leave a visitor to our worship services feeling bewildered and out of place. Consequently, numerous congregations now print their entire liturgy in the bulletin. This tactic welcomes visitors – a critical tactic for a denomination both suffering from numerical decline and one in which a majority of our current growth comes from adults moving to the Episcopal Church from another denomination. An electronic Book of Common Prayer can be user friendly, enabling easy preparation of electronic or printed bulletins as well as conveniently accessible daily offices in which the readings appear in situ after the user has selected her/his preferred version of the Bible. Furthermore, all of our authorized hymnals can be seamlessly integrated into an electronic prayer book, thus eliminating the need for printed hymnals in the pews because bulletins, whether printed or electronic, can include hymn texts with music. This shift would also facilitate updating music resources for our liturgies. An electronic prayer book is a “living” document. Establishment of a permanent process for authoritatively updating would help to ensure comprehensiveness and currency. Scattered congregations presently create their own liturgies, diverging from the basic precept that our common prayer unites us. Consistent use of authorized liturgies depends upon the priest-in-charge and not upon the medium used to publish our prayer book. An electronic prayer book avoids costly replacement of printed prayer books. An electronic prayer book with proper indexing and internal links can be easily accessible and expansively inclusive with no practical upper limit on its size. An electronic prayer book embraces technology and the indisputable direction of social change toward greater reliance upon electronic media. Perhaps the two biggest obstacles to shifting to a revised, electronic prayer book are the institutional inertia common to most large, venerable institutions and our proclivity to cling to tradition regardless of its merit. Parishioners, even most of those who initially opposed printing the full liturgy in the bulletin, soon tell me that they enjoy liturgy’s accessibility. However, they do not want to let go of having a printed prayer book. When I politely remark about the contradictory nature of these feelings, the most common response I receive is a shrug indicating the genuineness of their feelings, their awareness of the contradiction, and their reluctance to either stop printing the entire liturgy in the bulletin or to let go of the printer prayer book. Donald Trump’s lack of self-control, evident in his Tweeting, prompted some thoughts about self-control. For many centuries, Christian spiritual adepts regarded self-control as an essential and basic step for those who traveled the Jesus path. A similar emphasis on self-control is found in other major religious traditions. During the last seventy-five years, Christian theologians and ethicists have tended to ignore or downplay the importance of self-control. Self-control is also a theme in Sirach as well as several other books in the Apocrypha. Paul emphasized self-control in his discussions with Felix (Acts 24:25) and in his first letter to the Corinthians (9:14-27). Paul also utilized the concept of self-control more narrowly with respect to sexual behaviors. Titus 1:8 advocates self-control as a virtue of bishops and, by implication, for all clergy; Titus 2:12 expands the expectation of self-control to include all Christians as does 2 Peter 1:6. Divulging one’s thoughts and feelings can hurt others, will often not achieve any productive results, and can actually interfere with the divulger achieving his/her own goals. Trump’s tweets illustrate all three of those problems. In sharp contrast to total openness, Jesus calls us to love one another, to do good, and to care for ourselves. Self-control requires mastery over one’s thoughts and actions. Feelings are often beyond a person’s control. Nevertheless, the Bible assures us, as the lives of the saints exemplify, a person can master her/his thoughts and actions. 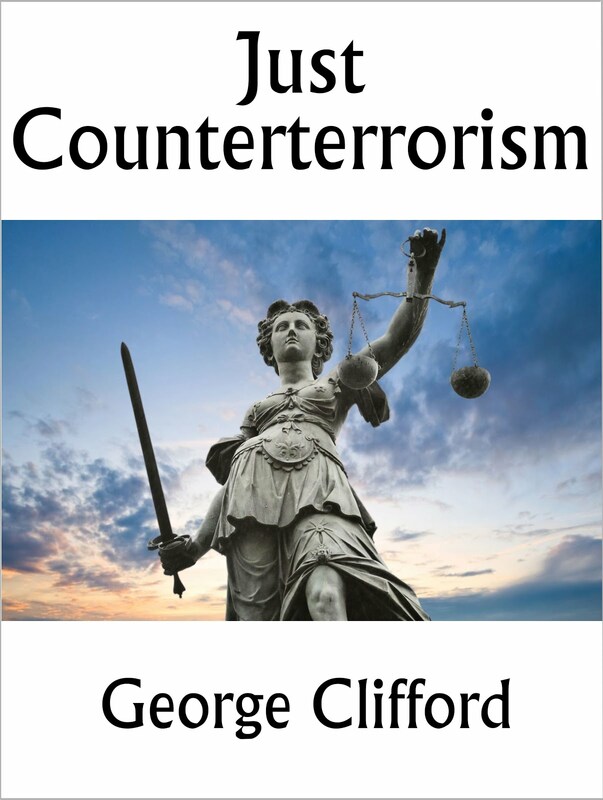 For example, if a person regrettably finds him/herself in the midst of a terror attack, courage through the exercise of self-control can master one’s fear and avoid panic. In the stampede to exit the Ariana Grande concert in Manchester after the terror attack, televised videos showed some people calmly remaining in their seats. Consistency is impossible without self-control. Everyone is buffeted by changing emotions and events. Self-control enables a person to keep a steady hand on the rudder of her/his life, maintaining a constant direction, e.g., without self-control few relationships would endure for very long. Distract yourself. Kids who wait for two marshmallows often make up stories in their heads, sing songs or invent games to play. Make if-then plans and stick to them. Examples: If there is a dessert menu at the restaurant, I will not order chocolate cake. When the clock hits 5 p.m., I will read my textbook. Shift your time perspective from immediate desires to future negative consequences. A smoker pining for a puff can visualize himself as a cancer patient being wheeled into radiation treatment. Research supports religion as an aid in developing and using self-control (Michael E. McCullough and Brian L. B. Willoughby, “Religion, Self-Regulation, and Self-Control: Associations, Explanations, and Implications,” Psychological Bulletin, 135:1 (2009), 69-93). Some religious motivation is psychologically suspect. Feeling guilty because one has failed to exercise self-control or exercising self-control to avoid feeling guilty may work in the short-run but guilt is an ineffective long-term motivator. Similarly, concerns about what might happen after death is unlikely to be an effective motivator for self-control in the twenty-first century. Developing and exercising self-control constitutes at least one intersection between science and religion where the insights of each are mutually reinforcing. In an era in which our attention is constantly drawn to the adverse consequences of individuals having an apparent lack of self-control, I suspect that the time is ripe to again focus on the virtue of self-control. By all accounts, biblical literacy is diminishing. Polls show that Americans have scant knowledge of the Old Testament and rather limited knowledge of the New Testament. I hear fewer biblical allusions and phrases in preaching today. And in casual conversations when I insert a biblical phrase, sometimes with the acknowledgement that I read it somewhere, my conversation partners appear baffled as to the phrase’s source. Indeed, a growing number appear unaware that I’ve quoted the phrase rather than devised it myself. 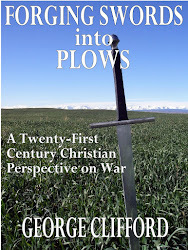 As many Ethical Musings readers know, I am not a biblical literalist. I oppose teaching children, youth, or adults the Bible’s contents without also emphasizing that the Bible is neither a history nor science textbook. Instead, the Bible is a collection of stories, poems, parables, and other materials intended to convey a deeper wisdom about how to live abundantly by loving God and one’s neighbor. How can we increase biblical literacy? Read the Bible, one book at a time. Marry reading that Bible book with reading a good commentary on the same book. Read books by Bishop Spong, Marcus Borg, and others who explore the Bible from a modern perspective. Enroll in a solid education program such as Education for Ministry that couples Bible reading with the commentaries, history, theology, and other disciplines necessary to understand the Bible. Encourage clergy to use biblical allusions and illustrations in sermons, conversations, and other communications AND to explain the allusion, no longer presuming that their intended audience will understand the allusion or illustration. Encourage your faith community to offer substantive, quality religious education programming for youth and adults. Biblical pabulum is a waste and frequently counterproductive.